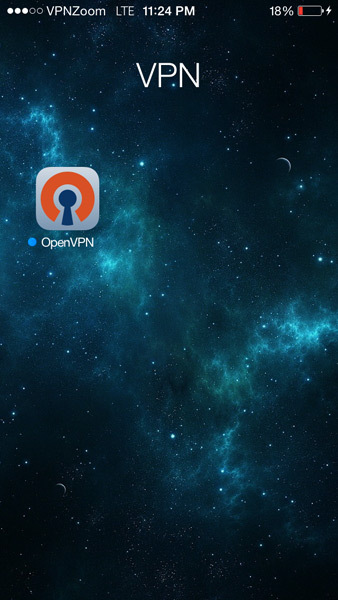 The following guide shows how to setup an OpenVPN connection with your iPhone or iPad. If you have any questions about setup please contact our support team. Step One: Open the App Store on your IOS device. 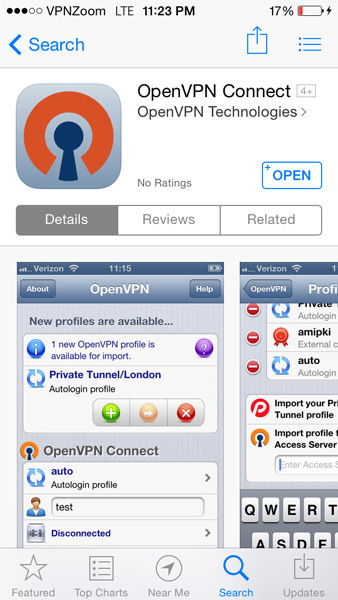 Search for OpenVPN. Install the OpenVPN Connect app. Step Two: The app will appear in IOS as above. Step Three: Now open iTunes and click on your IOS device to manage it. 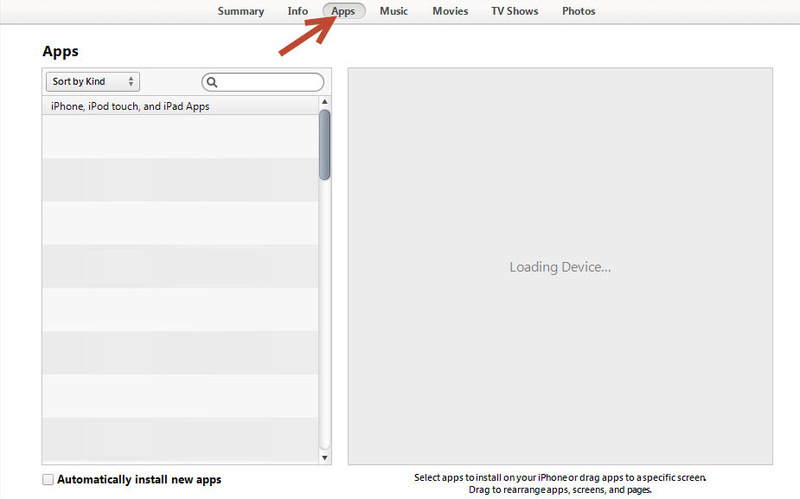 Click on the “Apps” tab in iTunes. Scroll down. 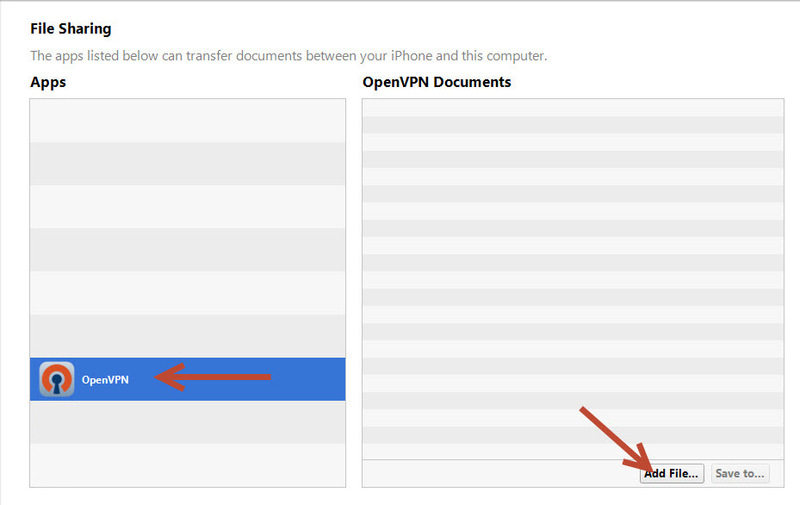 Step Four: In the “File Sharing” section click on OpenVPN to select it. Now visit “https://vpnzoom.com/openvpn-config/” to download the configuration files. You will need the server-location.ovpn files and the vpnzoom.crt file. Save the files to your computer. Now use the “File Sharing” manager in iTunes to add the files to your IOS device. Step Five: Once added the .OVPN configuration files and the vpnzoom.crt file should appear in the list. Return to your iPhone/iPad. Step Six: Launch the OpenVPN app and a list of the newly added configuration files should appear. Click on the + to add the server settings. Step Seven: You should now see a username and password field. 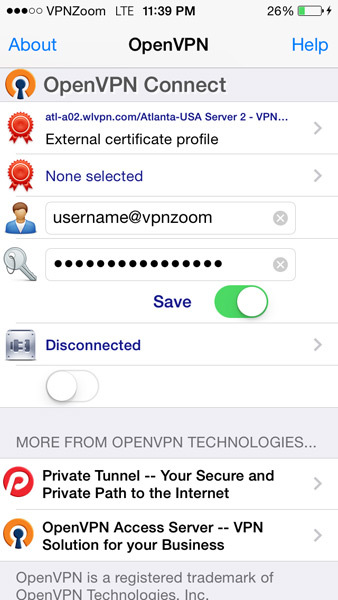 Enter your username (note: All VPN Zoom usernames end with @vpnzoom ex: username@vpnzoom). After entering your login credentials click on the toggle to connect. 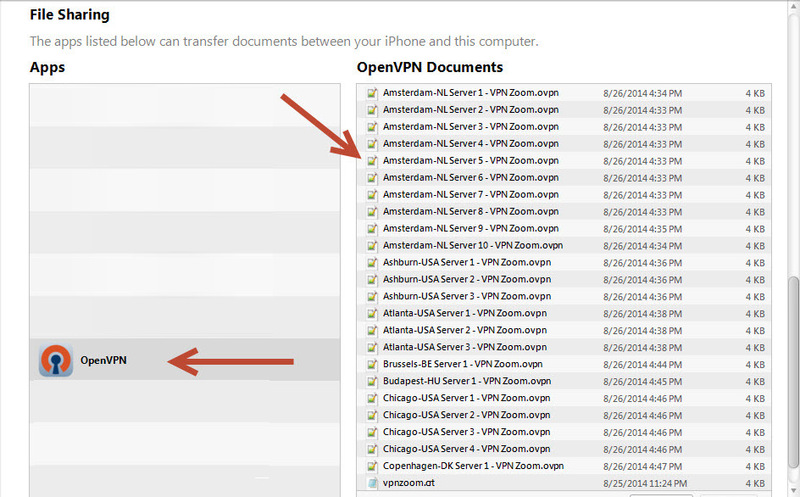 Step Eight: You are now connected to our servers on your iPad/iPhone using OpenVPN. You can browse the Internet anonymously.